Changing sports - Changing worlds | theraceforthecafe.com . This post is about different social worlds, but the first thing that I want to do is clarify a couple of terms that I have already used a number of times in previous posts, which I should probably have explained earlier. The cyclists that I studied I describe as ‘racing cyclists’and that description covers a wide range of participation. Some of my study participants race at the highest level (Elite) nationally and internationally, but some of my participants never race – and have no desire to. Some of them race occasionally and some have raced in the past but no longer race. All of these different levels of participant come together and train in groups and that is where I observed their everyday activities. The one thing that all of them have in common is that they ride ‘racing bikes’ or ‘road bikes’ if you prefer. They may also ride other types of bikes of course, but not when they are training together as a group. 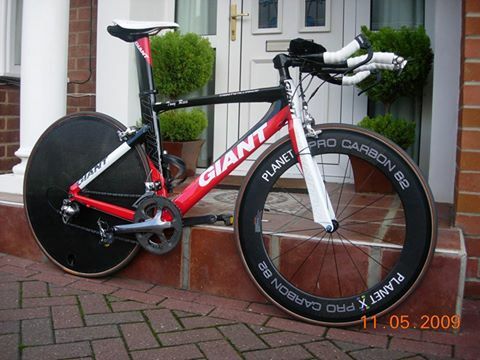 My ride for the 2009 triathlon season, great bike - loved it. Wouldn't have gone down well on a racing cyclist group ride though. So that’s why I use the description ‘racing cyclists’ but why do I describe these groups as a social world’? Sociologists use the idea of social worlds as an alternative to subculture theory and in sociological terms all social worlds have three things in common. First: They overlap with other social worlds, my study participants may also be members of the social worlds of mountain biking, cyclo-cross or sportive riding. Second: Social worlds have the potential to split into social sub-worlds, in the form of the different training groups that exist everywhere that you find 'racing cyclists' in training. Third: Within social worlds participants are always judged in terms of the legitimacy and authenticity of their participation. All social worlds have a ‘style’ and it is by properly displaying the correct style that an individual demonstrates that they are competent members of their chosen social world. I saw many times during my observations how cyclists, particularly newcomers (as I was during the early part of my research) would modify their appearance in line with the social world of racing cyclists that they wanted to be seen as established members of. On the other hand, NOT displaying the correct style reveals that someone is not really a member. Insiders in a social world develop the practical ‘know-how’ that enables them to recognise others who are legitimate members of the social world and those who are not. The following extract taken from my research field notes illustrates this. 16th December 2015: Blue Bell ride from Kirklevington roundabout: 17 riders, roads were icy so it was posted on the FB page main roads only. New rider at the meeting point who nobody seemed to know. Just after Yarm as we headed towards Teesside Airport he was out the back although nobody commented or even looked back. Later in the café there was a discussion about how early he was dropped and the following observations were made about his appearance and equipment: 'that jacket he had on was flapping about like a parachute'; ‘his helmet was on the back of his head’; ‘he had a bottle of Lucozade Sport in his bottle cage'; ‘he looked like a triathlete to me’. This example shows that although the newcomer was welcome to join the training group (even though he was not known to anyone) harsh judgements were quickly arrived at solely based on his appearance, style and taste preferences. It is through shared tastes that members of a social world relate to others and make judgements about them. In the sociology of Bourdieu (whose theories I used in my research PB-Wiki) taste is as much about the distaste of the taste of others as our own taste. It is through the consumption of goods and the expressions of taste above all else, that our place in our chosen social worlds is confirmed. I was quite fortunate when I first joined the training group that I was able to seamlessly blend in to the social world of racing cyclists. With my impeccable sense of style why wouldn't I be immediately accepted? Before you rush to the comments section - I am only joking. Yes... I realise in this picture I look like a complete t_ _t but it was 1991. I am sure all of the other competitors that day had the same taste and were dressed in a similar way - that's my story anyway and I am sticking to it. I really don't know where to start with this picture, there is that much that is wrong (by today's standards) even for a triathlete. That handlebar set up? the bar tape? and that helmet? (I don't even want to talk about the shorts!) I can only apologise! Serious sociology coming up now As I mentioned in an earlier post I used to race over the Ironman distance before an accident forced me to switch to bike racing. When I changed sports I entered a very different social world to the one I was used to. I have never picked up on anything that you could call animosity between racing cyclists and triathletes, in my experience or in my research. I was generally made to feel welcome but, it is probably fair to see that there are some significant differences and misunderstandings between the two social worlds and this is in part due to the different forms of capital that are valued. In my post (Who Has Power?) I talked about power in social worlds in the form of symbolic capital which is related to reputation and image often derived from past performances and achievements. In the social world of Ironman triathlete’s tattoos are a form of symbolic capital. 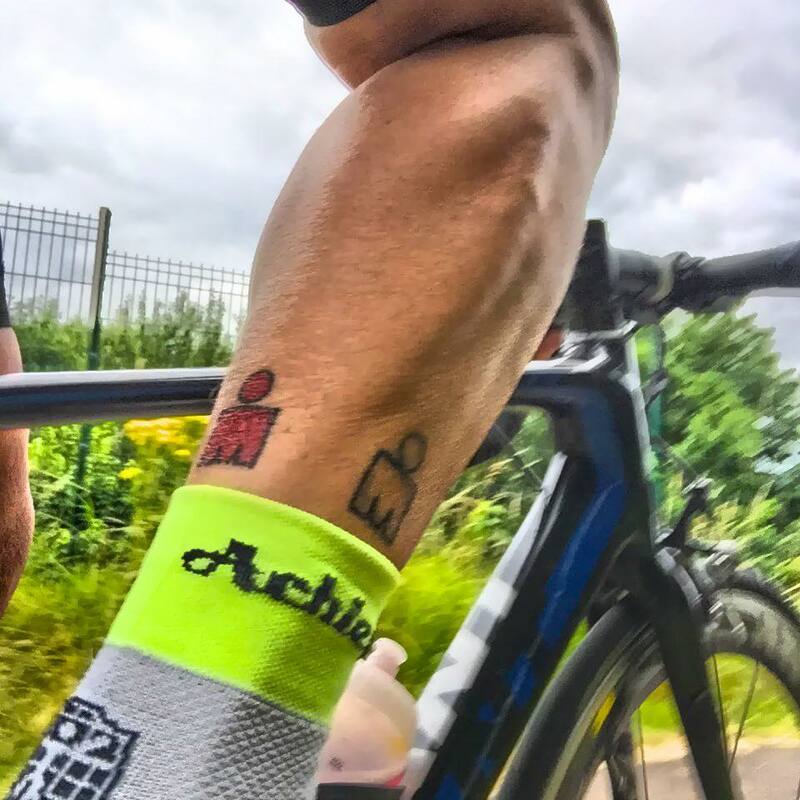 The M-dot tattoo’s that Ironman finishers sometimes have on their legs are a form of symbolic capital – why on the legs? quite simply because they want their symbolic capital to be recognised. Ironman triathletes’ swim, bike and run - a lot, all activities where their legs are in view and their symbolic capital is on display. One of the unfortunate, things about this form of capital is its ‘symbolic’ nature which means its value does not transfer from one social world to another. So when I entered the social world of racing cyclists my tattoos were not seen as a form of power, but as a sign of incompetence and an indication that I did not really belong and was probably clueless. 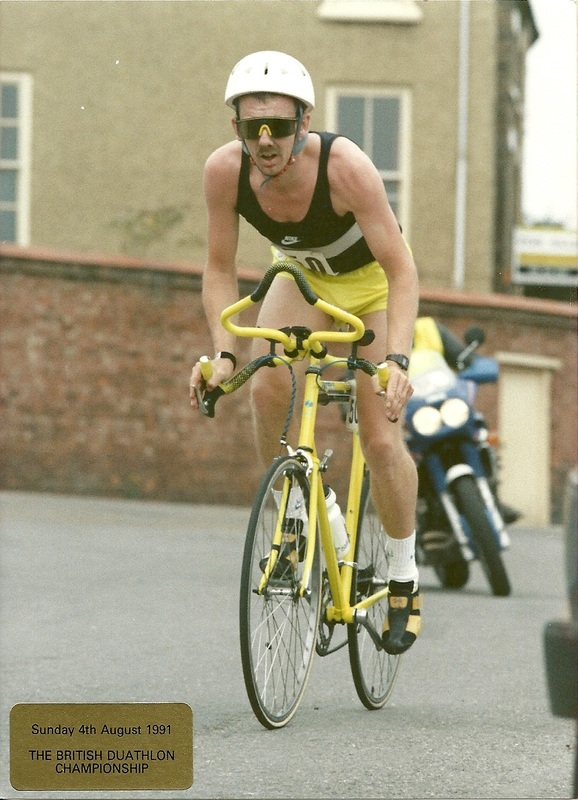 I am pretty sure that the usual assumptions about triathletes were made of me: ‘can’t corner’ - ‘can’t ride in a group’ - ‘might be fit, but doesn’t know what he is doing’ - 'doesn't know what to wear'. All of which probably had some truth to them, if I am honest - well not the last one obviously! So its quite simple, if you want to 'fit in', in any social world - its just a question of taste. No post next week, taking a break over Christmas. In January something a bit different that will interest anyone who has over indulged during the festive season..
nice post Tony, have a great Christmas! I love overtaking those Ironman tattoos on hills. I read your blog last week and it must be because I've never really done any formal club riding but I really don't recognise the world you describe - I just ride with a few different bunches of mates who just try and encourage the slower riders to just keep trying. Ye Ironman tatoos make you a marked man.Good that you have a supportive group of riding partners, what I have observed certainly doesn't apply to all groups for sure.